DOHA, Qatar, 2017-Oct-20 — /Travel PR News/ — Qatar Airways is proud to have won ‘Custom Redesign of the Year’ at Folio’s Eddie & Ozzie Awards for its in-flight magazine, Oryx. Created by leading global publisher Ink, the magazine redesign was launched on board Qatar Airways in January 2017. The Eddie & Ozzie Awards has become one of the most comprehensive magazine media award programmes, with hundreds of highly-competitive entries each year celebrating outstanding editorial and design content in both print and digital platforms. 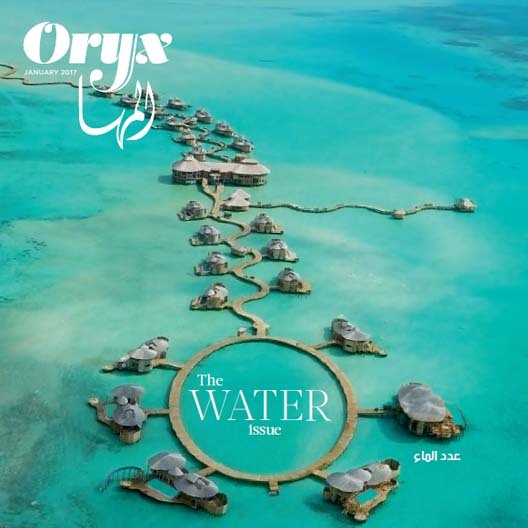 Qatar Airways Group Chief Executive, His Excellency Mr. Akbar Al Baker, said: “I am delighted that the new design of Oryx magazine has been recognised at the Eddie & Ozzie awards. We are committed to constantly renewing and refreshing our on-board entertainment for our passengers, and delivering an enhanced magazine product that is full of relevant information and content is integral to that strategy. As well as being available on board the Qatar Airways fleet of more than 200 aircraft, Oryx magazine is also available to read on the Oryx One App and online at: www.ink-live.com/emagazines/oryx. In addition to its award-winning magazine, Qatar Airways offers passengers up to 4,000 options on its Oryx One entertainment platform including the latest blockbusters, family movies, more than 1,500 episodes of TV comedy and drama, documentaries and audio. This latest accolade comes on the back of a raft of recent awards won by Qatar Airways, which was recently recognised for ‘Best Cabin Service’ and ‘Best Food and Beverage’ at the 2017 APEX Passenger Choice Awards, as well as being named ‘Best Airline,’ ‘Best Middle Eastern Airline,’ ‘Best Long Haul Airline’ and ‘Best Business Class,’ at the 2017 Business Traveller Awards. Earlier this year, Qatar Airways was also named ‘Airline of the Year,’ ‘World’s Best Business Class,’ ‘Best Airline in the Middle East,’ and ‘World’s Best First Class Airline Lounge’ by the aviation industry’s leading air transport rating organisation Skytrax. Founded in 1994 in London, Ink is the world leader in travel media, connecting more than 10,000 advertisers and brands to a global audience of 802 million passengers. Ink creates and delivers inspiring, award-winning content for airlines, railways, travel companies and their passengers by producing 28 magazines in 10 languages. Partners include American Airlines, Amtrak, easyJet, Norwegian, United Airlines, Etihad, Virgin Atlantic and Qatar Airways. From six global offices, Ink’s travel media connects brands, advertisers and marketers to a highly receptive, and real, global audience through inflight publications, video and online content and ambient and experiential advertising opportunities in 100 countries. Qatar Airways Cargo, the world’s third largest international cargo carrier, serves 60 exclusive freighter destinations worldwide via its world-class Doha hub and also delivers freight to more than 150 key business and leisure destinations globally with 203 aircraft. The Qatar Airways Cargo fleet includes eight Airbus A330 freighters and 12 Boeing 777 freighters. This entry was posted in Airlines, Airports, Entertainment, Flights, Travel, Travel Awards, Travel Management, Travel Services and tagged Folio’s Eddie & Ozzie Awards, His Excellency Mr. Akbar Al Baker, in-flight magazine, Mr. Michael Keating, Oryx, Qatar Airways. Bookmark the permalink.